The Left Forum is an annual conference held in NYC that draws socialists of the Bernie Sanders kind from around the world. The conferences were always excruciating for me to attend & I stopped going after attendees went rah-rah for “humanitarian intervention” into Bosnia under Clinton. For an antiwar activist, it was like being at the vampire’s ball or among the pod people. The closing plenary this year will be co-chaired by Amy Goodman of Democracy Now & Slavoj Zizek, the jester-philosopher who forum organizers say is considered by many as “the most dangerous philosopher in the West.” How do they consider a blithering racist who wipes his nose on his sleeve to be dangerous to anyone? Certainly not to the status quo. Color me sectarian, but there’s no way in hell I would touch that conference with a ten-foot pole, share a platform, or attend a lecture by a man so hateful to refugees. If he represents the international left, you can see why it’s in such disrepute these days. If the forum organizers consider him a suitable keynote speaker, there’s no hope & no future for them in transformational politics. If you don’t stand with refugees & resolutely against Islamophobia & war, your brand of leftism stinks to high heaven. A Facebook friend from Gaza says the huge explosions from Israeli airstrikes are terrifying the children. 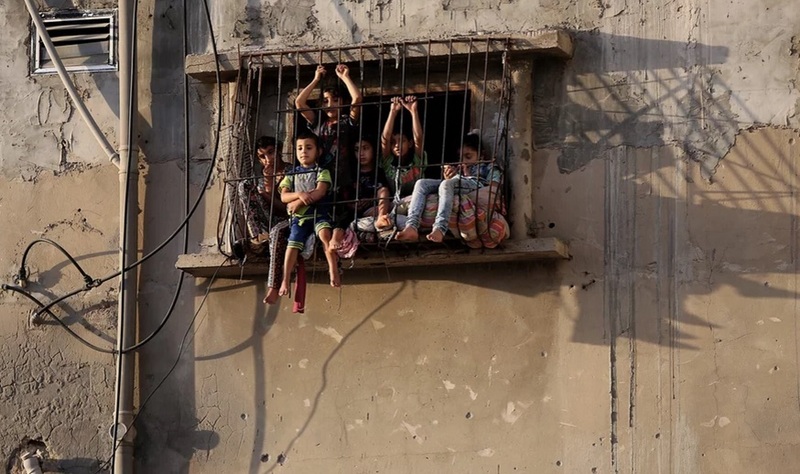 Human rights groups documented that Israel targeted children in the 2014 carpet bombing siege. They also reported the psychological toll that bombing took on children when the bombing ended after seven weeks. Keep the children of Gaza as a foremost inspiration in organizing opposition to Israeli bombing & in building BDS. These children are in Al Shejaeiya, a residential neighborhood in Gaza City, that was nearly bombed to smithereens in 2014. 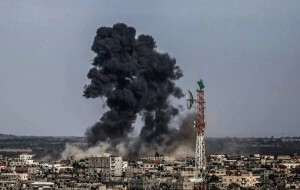 Israel has been conducting unprovoked airstrikes in Gaza since yesterday. We need to be ready to hit the streets with placards. Media is aiding & abetting Israeli human rights crimes with an alibi claiming the Israeli military uncovered tunnels being built “by Gaza militants that Israel fears could be used to infiltrate its territory.” Even if there are tunnels that is no provocation for bombing civilians in Gaza. We can’t let the aggression go on without a public response demanding Israel stop the bombing. 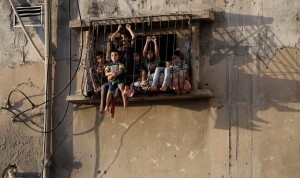 It was only last year the UN said Israel had created such destruction in Gaza that it could be uninhabitable by 2020. It is hardly in a condition to sustain sporadic, short-term bombardments which Israel may use in place of carpet bombing to blunt the kind of public opposition it faced in 2014 when over a million people around the world protested. Get your placards ready. The struggle of Palestinians against apartheid, colonialism, & genocide is our struggle.